The EC had put measures in place to ensure that candidates to be MPs can register in every seat in a new poll, commissioner Somchai Srisutthiyakorn (R) said yesterday. 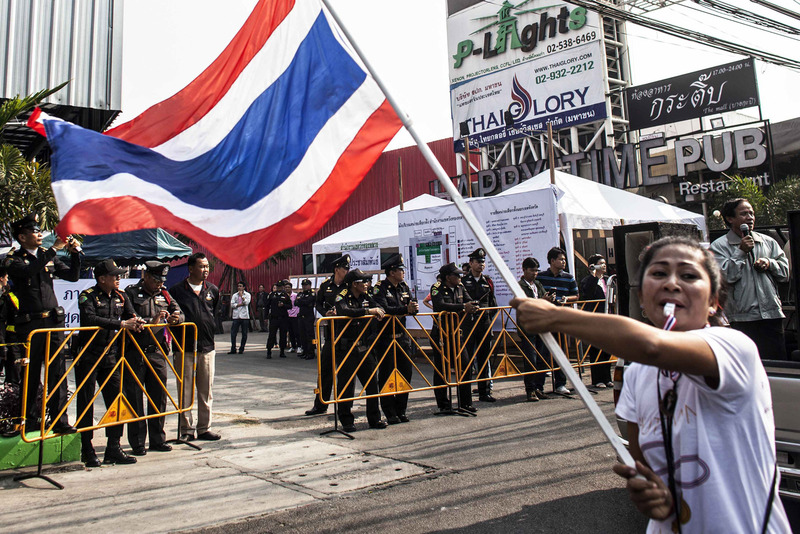 THAILAND - The Election Commission (EC) has set a date for a new poll in late July and guaranteed that the ballot would go smoothly, despite doubt on whether another ballot can be staged soon if rival parties fail to reach a compromise. The EC had put measures in place to ensure that candidates to be MPs can register in every seat in a new poll, commissioner Somchai Srisutthiyakorn said yesterday. The Constitutional Court ruled that the February 2 election was invalid because the election could not be held on the same day across the country. This occurred after anti-government protesters blocked candidate registration in many constituencies in the south. 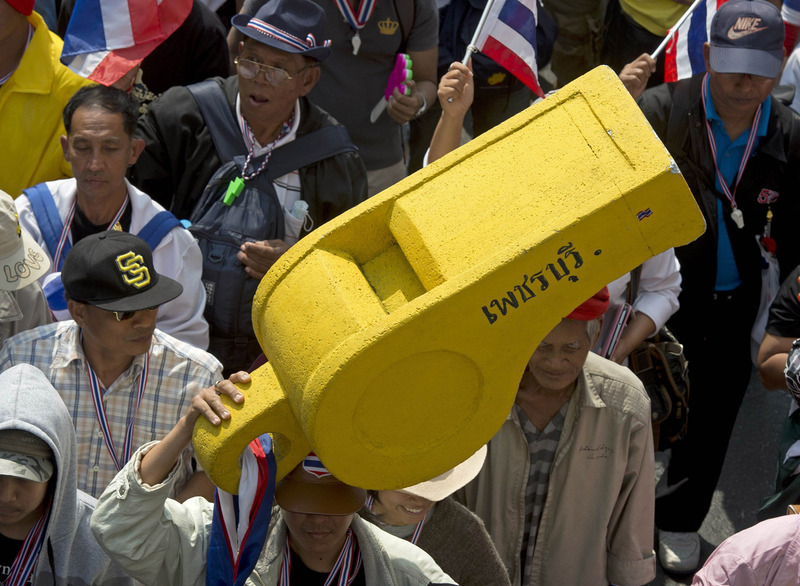 The caretaker government led by Yingluck Shinawatra wanted to push ahead with a snap election while protesters led by veteran politician Suthep Thausuban wanted her to step down while a non-elected government undertakes reforms. Suthep is mobilising supporters for rallies late this month, when he expects the Constitutional Court will disqualify Yingluck from office over an illegal transfer of a senior official, thus causing a 'political vacuum' that would open the way to an independent administration to undertake reforms. But the pro-government United Front for Democracy against Dictatorship (UDD or red shirts) has said it will stage a mass rally the day before the Constitutional Court delivers its verdict on whether Yingluck will be told to stand down as prime minister over the transfer of Thawil Pliensri, the former National Security Council (NSC) chief. 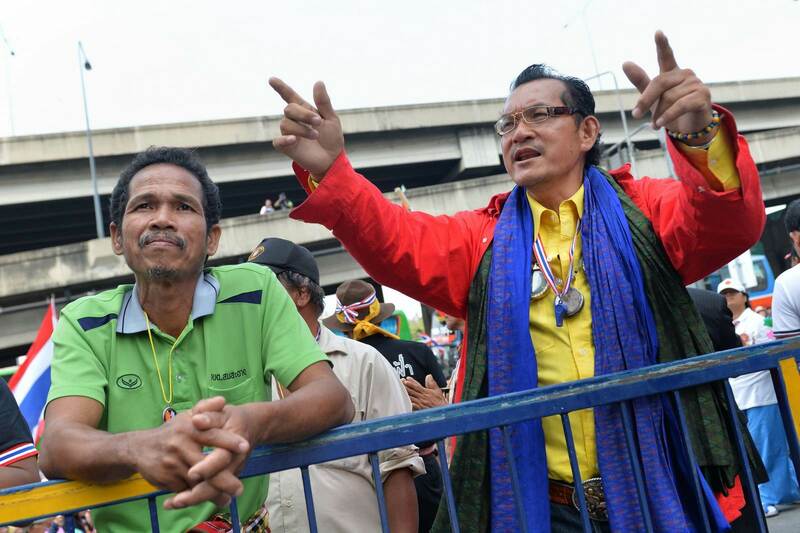 Despite that, Somchai said the EC was equipped with legal measures to prevent a repeat of the problems that rendered the February 2 poll unconstitutional. 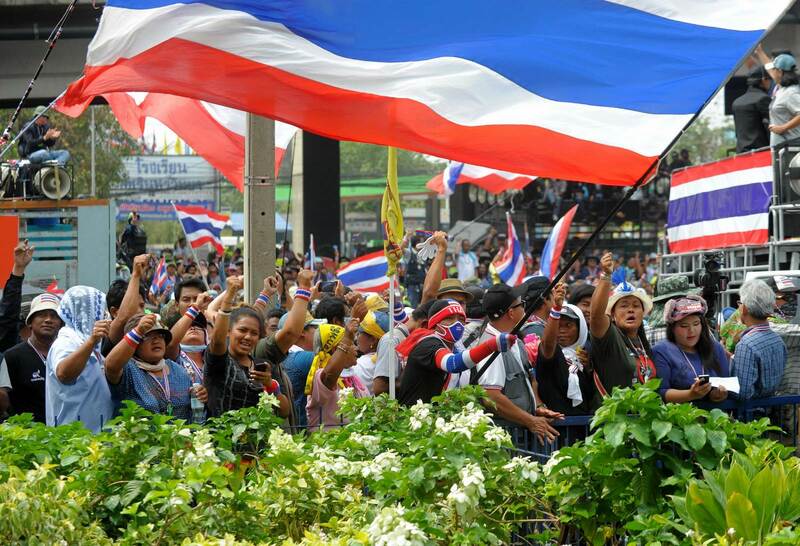 However, he has urged the government and anti-government People's Democratic Reform Committee (PDRC) to hold talks to resolve differences so a new poll does not face a repeat of protests and disruption by rival camps. Somchai said the EC would next meet with the government on April 30 to discuss issuing a Royal decree for a new election and submitting it for Royal endorsement, a process that may take about 20 days. If this goes according to plan, the new election could be held on July 20, which was the earliest date possible, he said. Election Commission chairman Supachai Somcharoen expressed confidence that there would be a way out to the differences between Pheu Thai Party, which wants the poll to be held on June 15, and the anti-government group, which wants national reforms implemented before a new election is held. 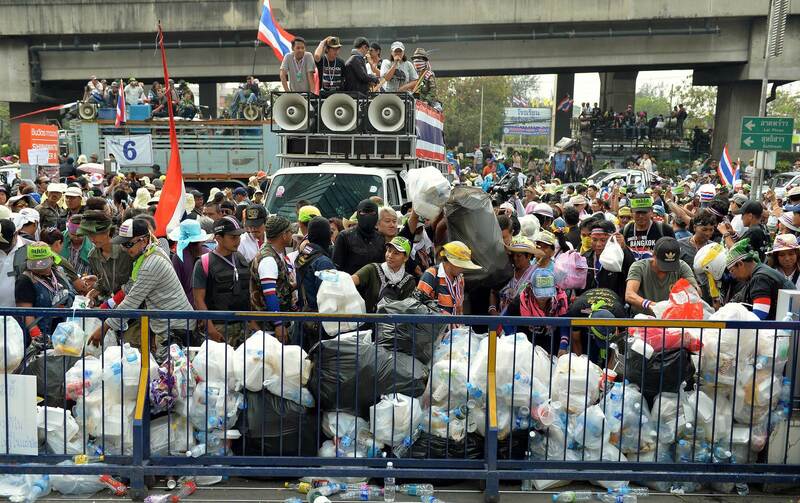 Supachai did not think that rival camps would plunge the country into civil strife. Democrat Party deputy leader Ongard Klampaiboon said the threat of anti-government protests was a bad sign for the new election. He suggested that the EC talk to PDRC chief Suthep into halting their plan to oppose a new election. "If the EC fails to get all sectors to accept the new election, it is likely the new poll may be nullified again regardless of whether the Democrats take part or not,'' he said. Pheu Thai spokesman Prompong Nopparit said the EC must tell the public why it wants to postpone the election till July if most parties want it held in June. Prompong called on Somchai to review his role and step down for failing to carry out his duties as Election Commissioner in a neutral manner. Employees working in offices situated in property owned by Thai Prime Minister Yingluck Shinawatra come out to watch anti government protesters during a demostration in Bangkok on February 20, 2014. 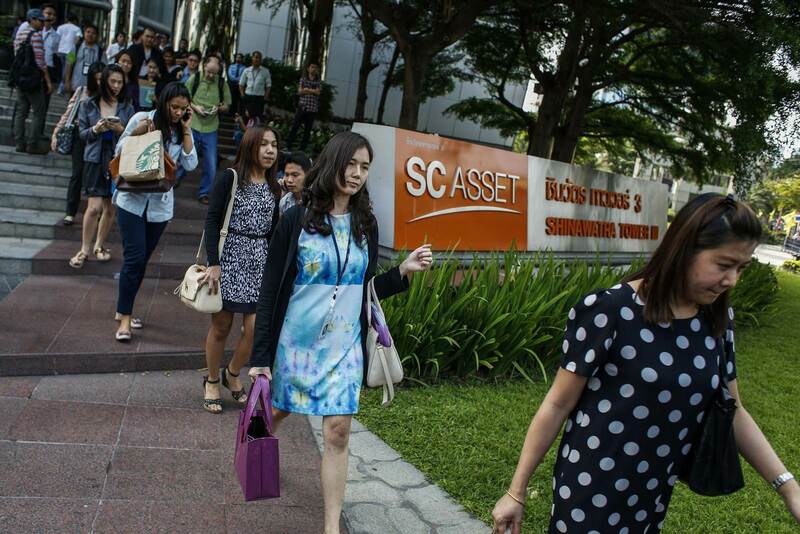 Workers leave a business building owned by SC Asset Corp as anti-government protesters gather outside during a rally in Bangkok February 20, 2014. 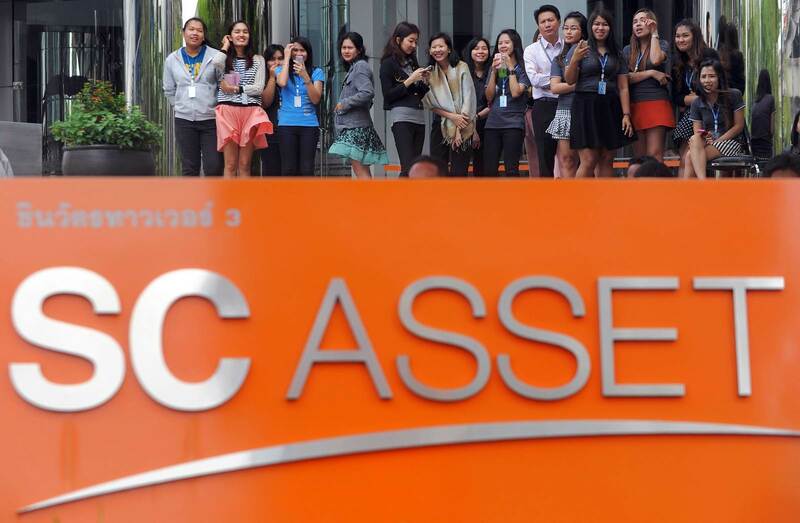 Around 500 protesters gathered outside the north Bangkok offices of SC Asset Corp, a property developer controlled by the Shinawatra family, waving Thai flags and blowing whistles. Protesters campaigning for nearly four months to oust Thai Prime Minister Yingluck Shinawatra turn their fire on businesses linked to her wealthy family. 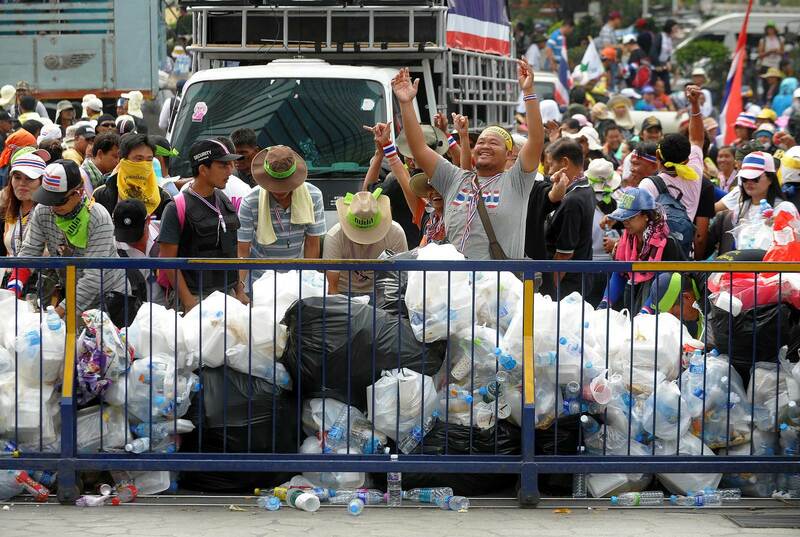 Anti-government protestors stack garbage bags in front of a gate of a Thai Prime Minister Yingluck Shinawatra owned property during a demostration in Bangkok on February 20, 2014. Shinawatra on February 20 protested her innocence after an anti-corruption panel filed charges of neglect of duty that could lead to her removal from office. 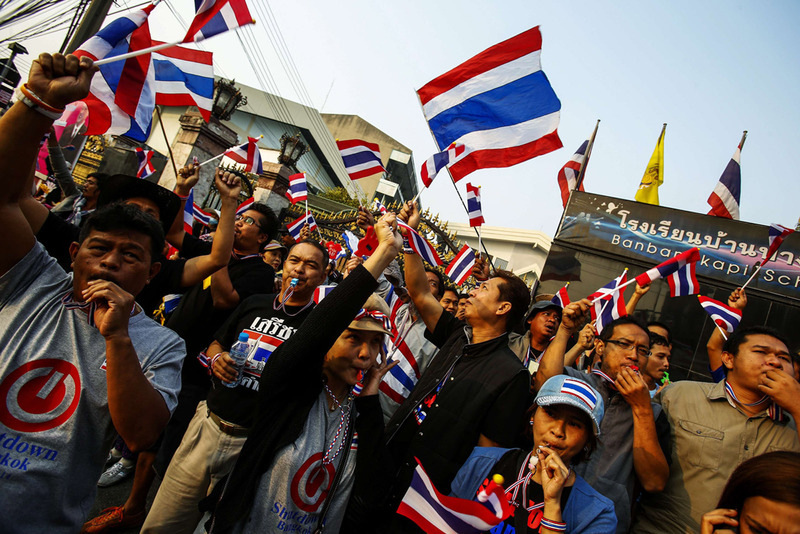 Anti-government protestors hold a placard and shout slogans in front of a property owned by Thai Prime Minister Yingluck Shinawatra during a demostration in Bangkok on February 20, 2014. 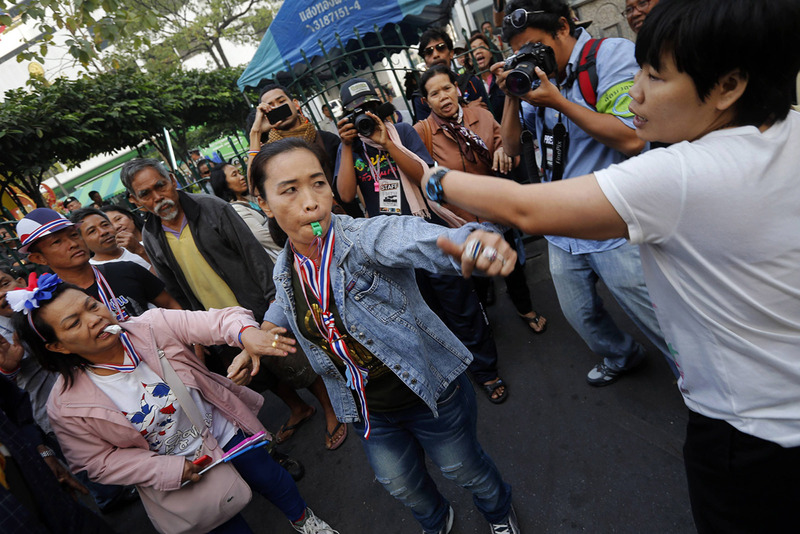 An anti-government protestor shouts slogans in front of a property owned by Thai Prime Minister Yingluck Shinawatra during a demostration in Bangkok on February 20, 2014. 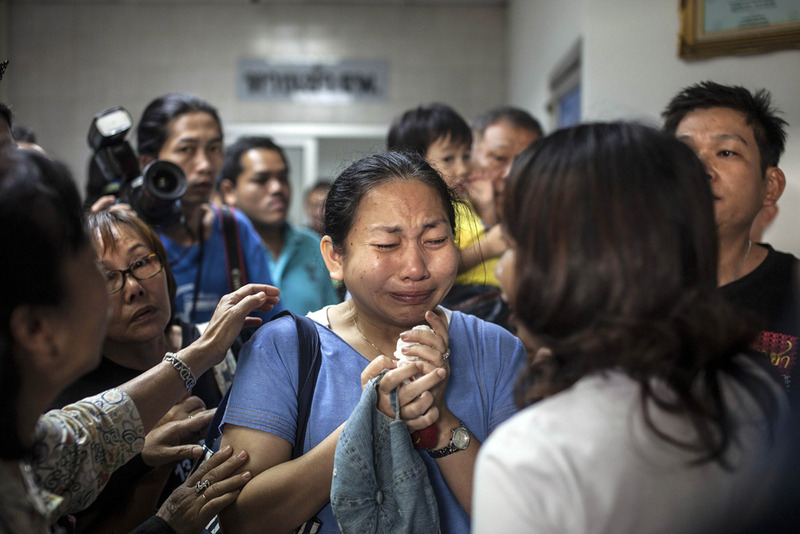 Relatives and friends of injured people embrace each other outside an emergency room of a hospital in Bangkok January 26, 2014. 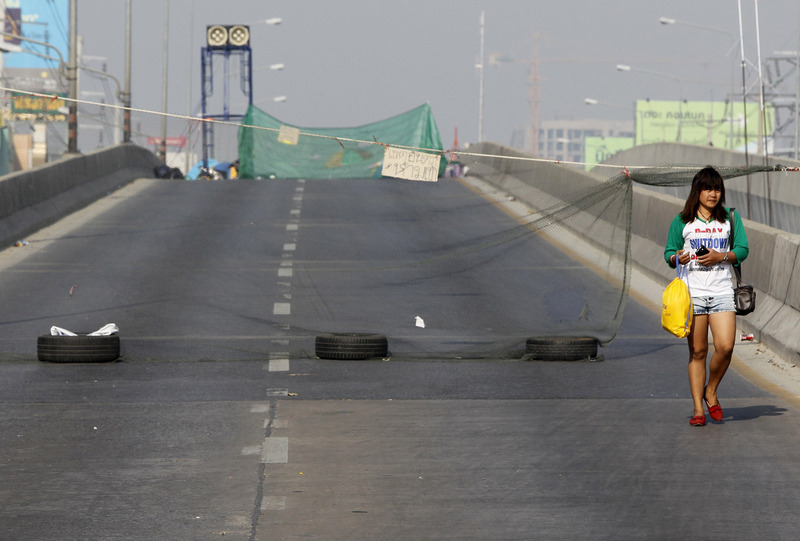 A man identified by police as one of the leaders of anti-government protests in Thailand was shot dead on Sunday. 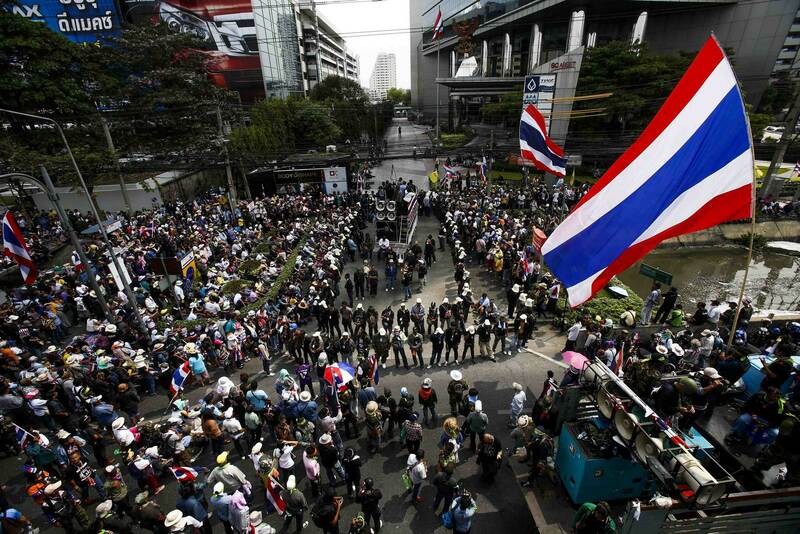 Violence erupted as demonstrators in Bangkok blocked early voting in many areas for an election next week. 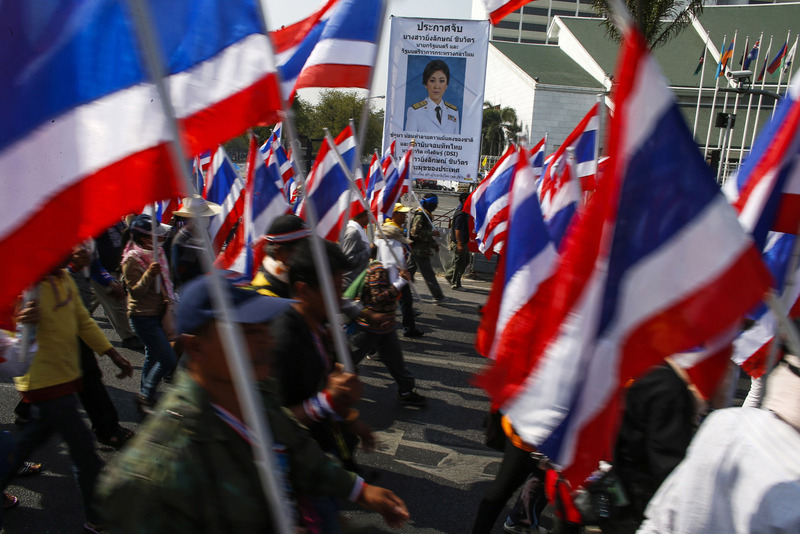 Anti-government protesters march past a poster of Thai Prime Minister Yingluck Shinawatra during a rally in central Bangkok January 24, 2014. 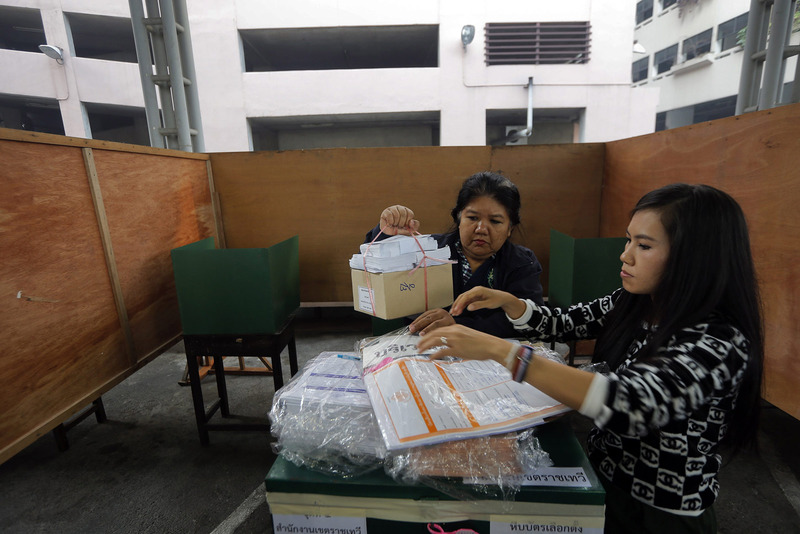 An official packs election material at a polling station after anti-government protesters forced its closure in central Bangkok January 26, 2014. 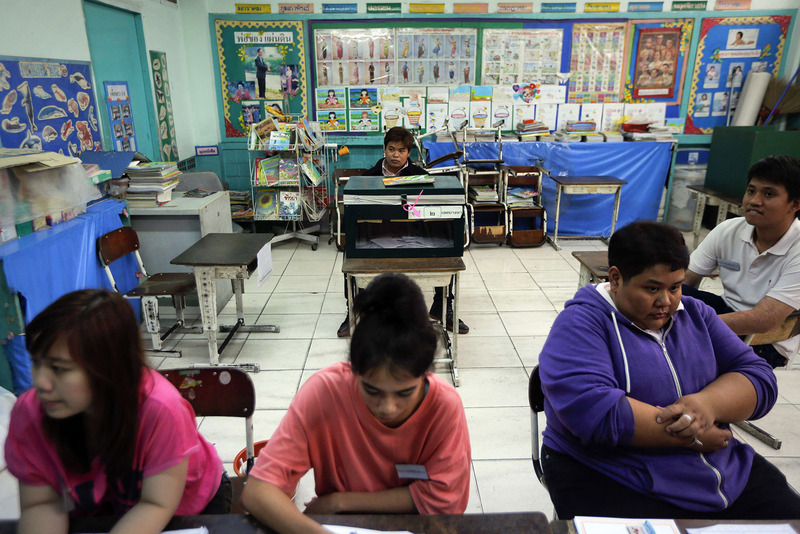 Election workers wait at an empty polling station as anti-government protesters block its gates in Bangkok January 26, 2014. 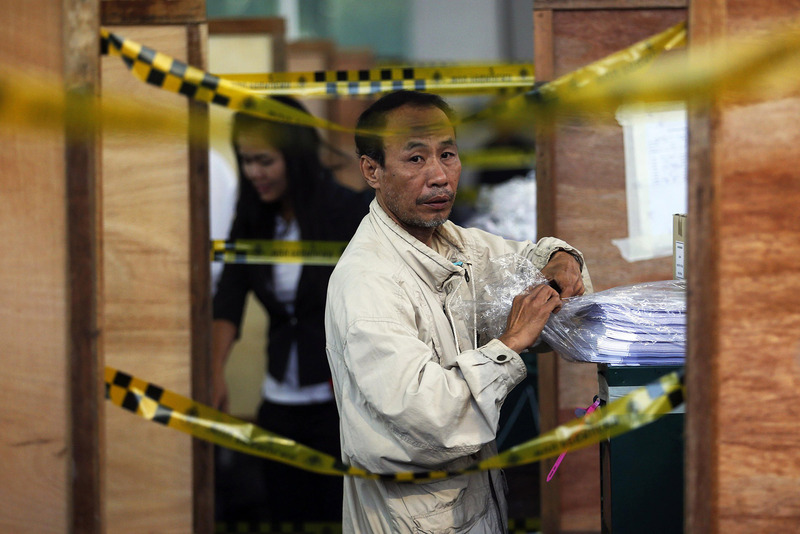 Election workers remove materials from a polling station. 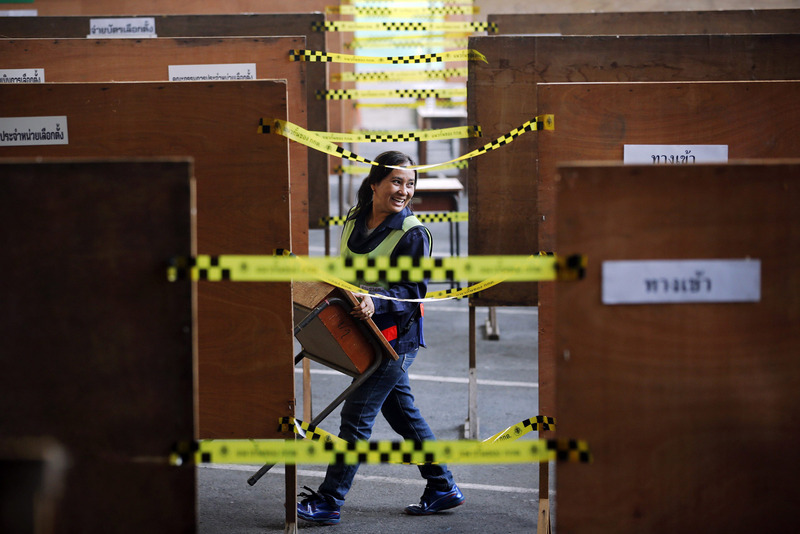 A worker removes a desk from a polling station. 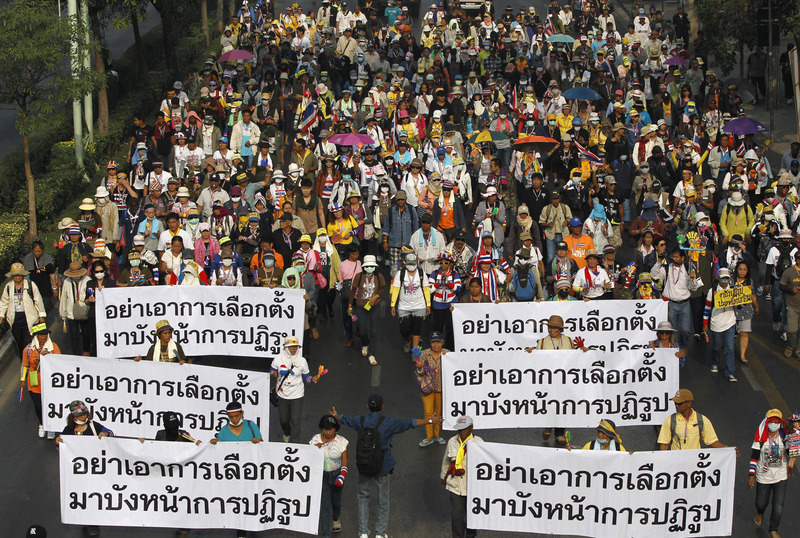 Anti-government protesters hold banners as they march in a rally to a polling station in central Bangkok January 26, 2014. 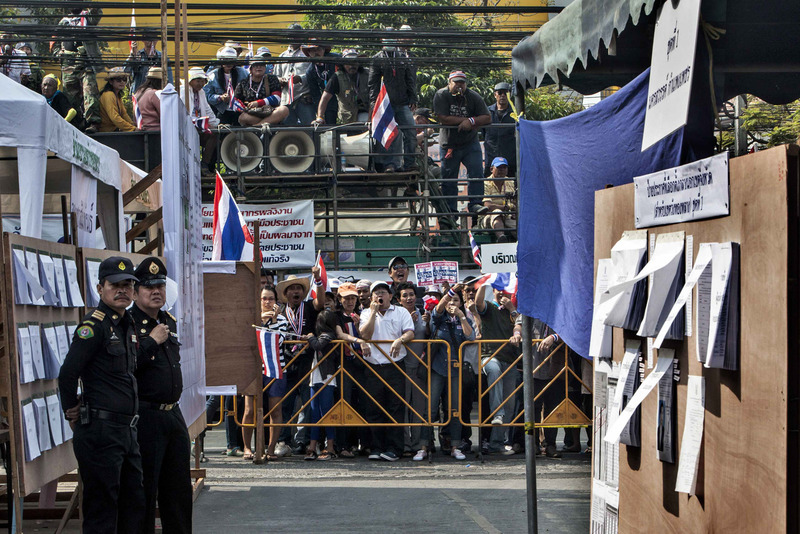 Anti-government protesters block the entrance to a polling station in central Bangkok January 26, 2014. 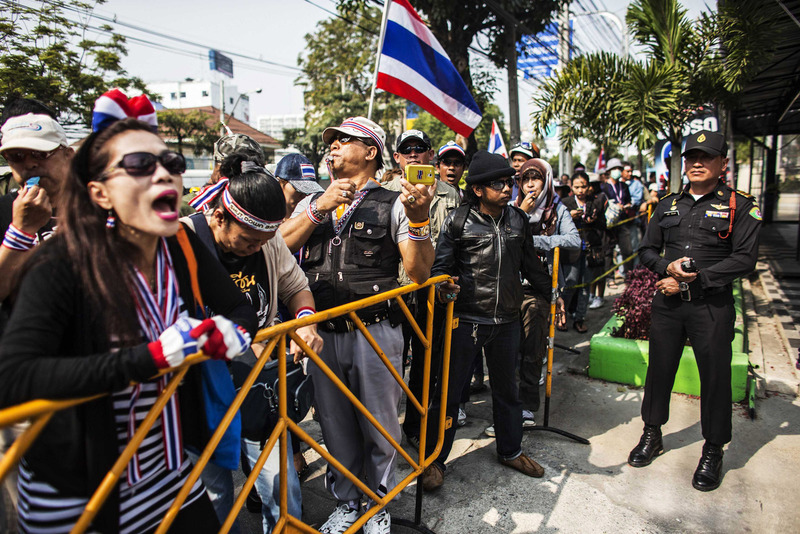 Anti-government protesters shout slogans as they block the entrance to a polling station in central Bangkok January 26, 2014. During political rallies by the opposing sides, protesters used many measures to threaten journalists, including surrounding them while they were doing their job and harassing their offices in an attempt to pressure the media to take their side. Anti-government protesters stop a voter (R) from entering a polling station protesters blocked in central Bangkok January 26, 2014. 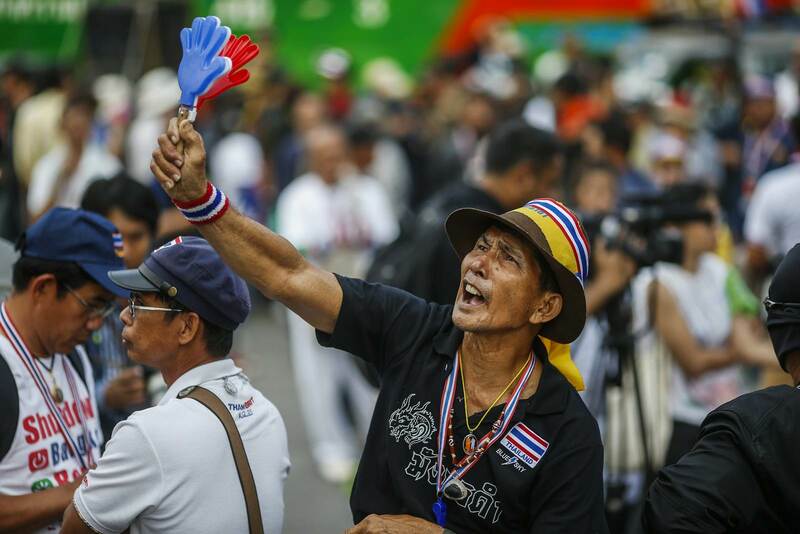 Anti-government protesters gather outside Bangkapi polling station in Bangkok January 26, 2014.